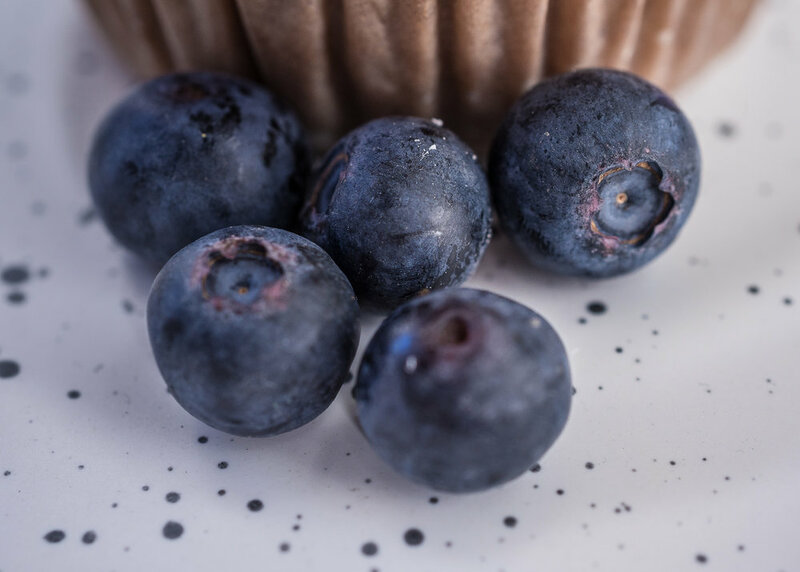 I adore fresh warm Muffins, especially Blueberry, or Apple and Cinnamon, so I thought I would share a recipe and some images taken over the holidays...This Recipe and images are just a little Sneak Peek for my soon to be released For the Love of Food, Food Photography Class. Preheat the oven to 180°C. Lightly grease a standard 12-cup muffin tin; or line the tin with papers, and grease the papers. In a medium-sized bowl, beat together the oil and sugar until well combined. Beat in the baking powder, salt, and vanilla. Add the flour alternately with the milk, beating gently just to combine. Scrape the bottom and sides of the bowl. Mash 1/2 cup of the blueberries. Add the mashed and whole berries to the batter, stirring just to combine and distribute. 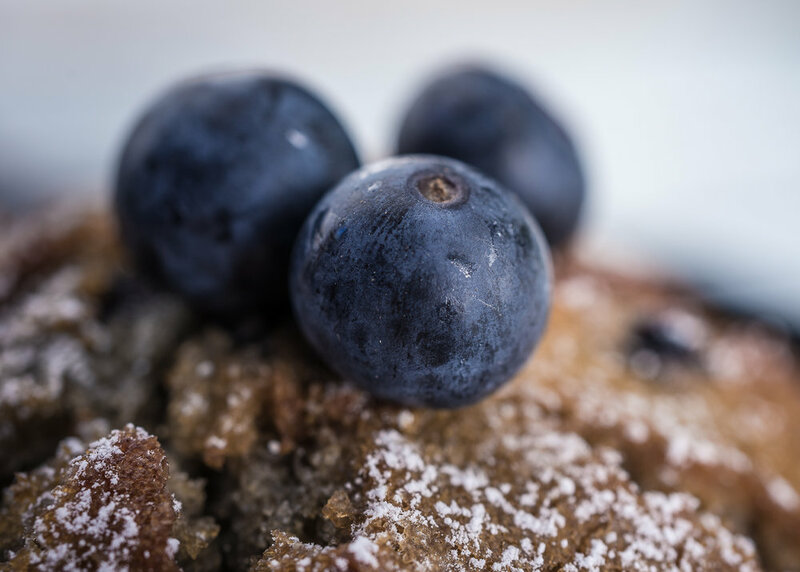 Bake the muffins for about 20 - 30 minutes, until they're light golden brown on top, and a toothpick inserted into the middle of one of the centre muffins comes out clean. Makes approx 12 muffins (or half the quantities for 6 muffins).